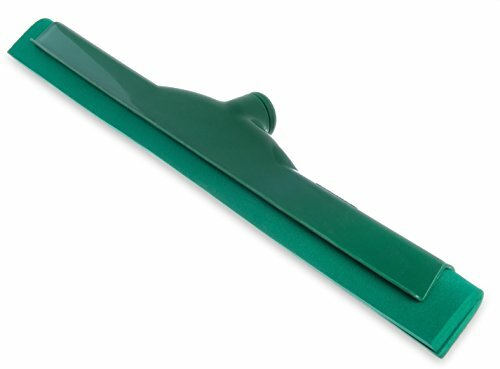 This Carlisle 4156709 green Spectrum 18" hygienic floor squeegee has an integrated blade that eliminates seams for resistance to bacterial growth and to facilitate sanitation. It has a plastic frame for resistance to corrosion and bending and a double foam rubber blade for absorption. It is safe for use on tile and marble floors, and the material will not cause sparks when cleaning up flammable fluids. The squeegee accepts a standard threaded handle and is recommended for use with the Carlisle 40225 Sparta Spectrum fiberglass handle (sold separately).